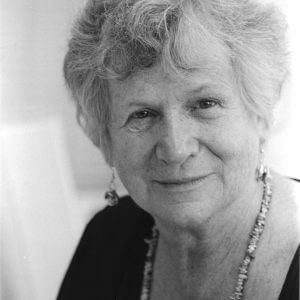 Deborah Meier has spent more than four decades working in public education as a teacher, principal, writer, and advocate and ranks among the most acclaimed leaders of the school reform movement in the United States. In the late 1960s she worked as a Kindergarten teacher in Central Harlem. In 1974, she founded Central Park Elementary School (CPE I), a highly successful public school of choice that served predominantly local African American and Hispanic families. During the next dozen years, Meier opened two other Central Park elementary schools in District 4 as well as an acclaimed secondary school, while also supporting and directing the development of similar schools throughout NYC. In 1995 she moved to Boston to start Mission Hill, a K-8 school in Roxbury. These schools were part of a network Meier created that helped initiate new small schools, both elementary and secondary, both in NYC and Boston. Meier is on the board of the Coalition of Essential Schools, FairTest, Save Our Schools, Center for Collaborative Education, and the Association for Union Democracy. She was on the founding board of the National Board for Professional Teaching Standards and served as an Urban Fellow at the Annenberg Institute. She is on the faculty of New York University’s Steinhardt School of Education. She is also on the editorial board of The Nation, The Harvard Education Letter, and Dissent magazines. Meier is the author of The Power of Their Ideas: Lessons for America from a Small School in Harlem (1995); Will Standards Save Public Education? (2000); In Schools We Trust: Creating Communities of Learning in an Era of Testing and Standardization (2002). She is co-author of Keeping School: Letters to Families from Principals of Two Small Schools (2004) and Playing for Keeps: Life and Learning on a Public School Playground (2010) and co-edited Many Children Left Behind (2004). Deborah Meier did her undergraduate work at Antioch College and received her M.A. in history from the University of Chicago.